Leeks are fantastic when paired with smoked salmon - their nuanced flavour providing a great contrast to the smoked fish. 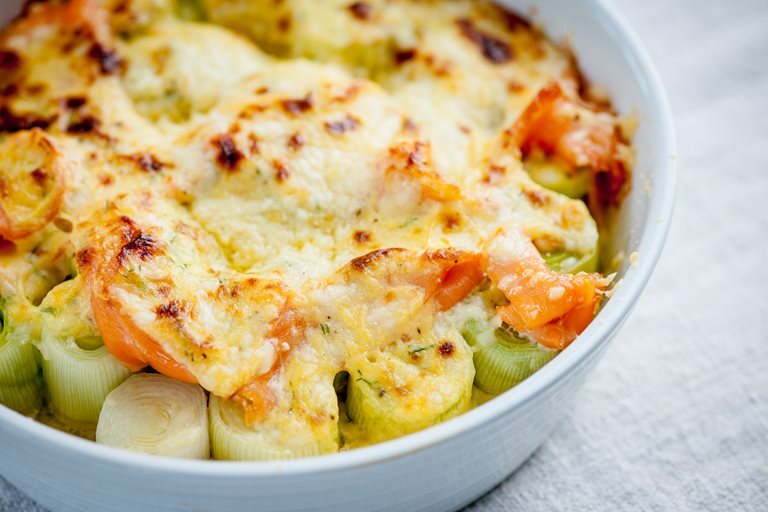 These cheesy leeks by Nathan Outlaw are a great pescatarian main course, particularly for someone who loves cheese. For a simple mid-week dinner or a weekend lunch, serve this cheese leek recipe with a mixed leaf salad.